One of the ongoing humanitarian crises within the U.S. continues. Welcome to Detroit, and the continuing privations being suffered by the remaining residents of this bankrupt city. There’s no reason for us to recount the details of our continuing coverage of the Detroit water crisis, in which the city is willy-nilly turning off running water on poor households that may be only a few hundred dollars delinquent in their bills. Despite a 15-day reprieve in the Detroit Water and Sewerage Department’s draconian get-tough policy, in two weeks, more water customers might find themselves facing the city’s staff trying to shut down leaking connection lines from leaky water mains. Today’s news is a sign of the times—two young Twitterati who had never met joining to create the Detroit Water Project, an online platform for donors to help delinquent water customers pay down their outstanding water charges. According to Tiffani Ashley Bell of Oakland, California, who co-founded the platform last week, the Detroit Water Project has already attracted 1,400 donors and completely paid down 16 delinquent accounts. The intentions of the two young women behind the project (Bell’s partner in this endeavor, Kristy Tillman, lives in Boston) and the donors are admirable, but the problem will eventually require a systemic response—some 80,000 of Detroit Water’s 175,000 active residential accounts are delinquent—and a completely different approach on the part of the cost-trimming emergency financial manager, Kevyn Orr, and the privatization-attracted water department. Mayor Mike Duggan has caught the nonprofit bug, too. Following the lead of other big city mayors, including, recently, Los Angeles Mayor Eric Garcetti, Duggan has created a 501(c)(4) social welfare organization called the Detroit Progress Fund to “pay for some city-related needs that we currently don’t have the budget for,” according to Duggan spokesperson John Roach. 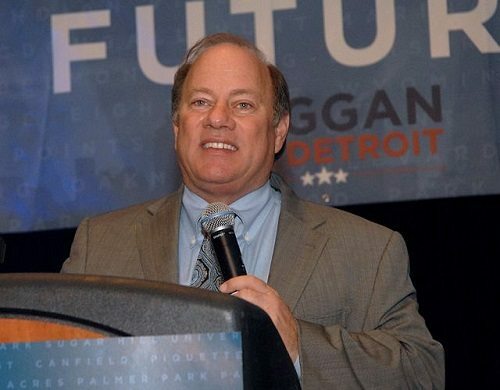 Duggan’s Progress Fund joins his campaign fund and his SuperPAC (Turnaround Detroit) as an element of the Mayor’s increasing nonprofit portfolio. In its public filings with the state, the Progress Fund exists to support “the Mayor of City of Detroit’s agenda,” but the question of late would be whether that agenda might include issues that are coming to the surface in the ongoing water crisis. Other nonprofit and voluntary sector responses are beginning to emerge, following weeks of activism from groups such as the National Nurses United, the Michigan Welfare Rights Organization, the Detroit Water Brigade, and the Canadian-based Council of Canadians—the latter reportedly trying to truck into Detroit 1,000 liters of water. We haven’t seen much in the way of activism by many of the high-profile racial equity organizations that pay attention to issues of race, but this week, the National Association for the Advancement of Colored People (NAACP) at its annual conference in Las Vegas passed a resolution denouncing the Detroit water shutoffs. The NAACP Legal Defense Fund sent letters to Orr, Mayor Duggan, and Water Department director Sue McCormick calling for an end to water turnoffs and for the restoration of water service to customers who had been deprived of running water.